The Standard 11 is a workplace health and safety package for the Resources and Infrastructure Industry (RII). 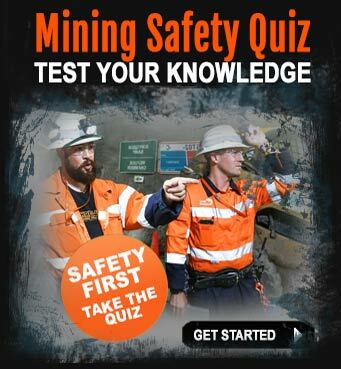 This is the essential safety training induction/qualification you must attain before you are allowed to work on a mine or quarrying site in Queensland. If you’re a process worker, electrician, plumber, fitter, engineer, architect, cleaner, kitchen hand, chef, office and admin staff, driver, labourer, manager etc and part of your job means you have to work on a mine site – you’ll need a Standard 11. The Standard 11 covers essential safety and procedures training designed to keep you and other workers safe from injury and harm when working on site. 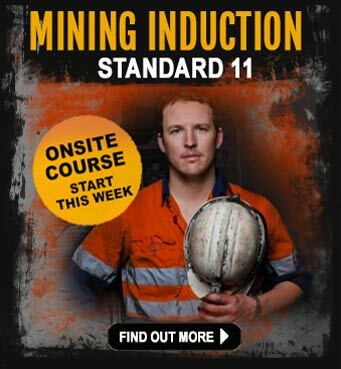 There are 6 units of study (competency) in the Standard 11, as recognised in the Training in Coal Mines (Qld Coal Mining Safety and Health Act 1999). You can book your course here and we will find a training provider close to your location – we do all the work for you. Eligibility: :Must be 18 years of age or over with ability to read and write basic English. Training Type: Practical and theory based activities. Issued with: Statement of attainment is issued (after completion of theory and practical assessments). Validity: 5 years with the option to complete a refresher before expiry. It you want to speak with a course coordinator call Karen on 0403 560 594. Mine sites are a hive of activity with many people doing different jobs, often under time-constraints which means they are under pressure too. It's during these times that slight lapses of concentration of fatigue can kick in, heightening the risk of accidents occurring. Because this risk is so high, site-specific and national WHS policies and procedures really hammer home the need to be totally vigilant and work in a safe manner at all times. Accidents on site can also be prevented by communicating well with those people around you, that why it essential to understand how to identify, access and use work site communication systems and equipment confidently. Being able to communicate well with your fellow workmates on site, understanding work-related terminology also makes for a more productive and stress-free life in the mines. Your shift will generally be 12 hours or so, so you want to create the best environment possible for yourself and the workmates who share the same space as you. Be aware, look after your personal safety as well as that of your fellow workers. If you see someone doing something stupid that could harm themselves or others - do something about it. It's for this reason, the Standard 11 focuses on you taking personal responsibility to identify hazards and risks; then taking the initiative and put in place the controls and actions to stop the hazard contributing to an accident. This includes reporting hazards to your Supervisor/ SSE and filling out the relevant forms as a record. Finally, should personal injury occur to yourself or a workmate, you will have the skills to apply basic first and complete the relevant incident reports. Mining is a serious business - don’t become a statistic. If you’re serious about working in the mines, think seriously about how the Standard 11 safety knowledge can prevent you and your workmates from injury - or worse. This is a classroom-based training course and is delivered using a mix of printed learning material, slides and discussion. The outline of what you will learn can be summarised below. 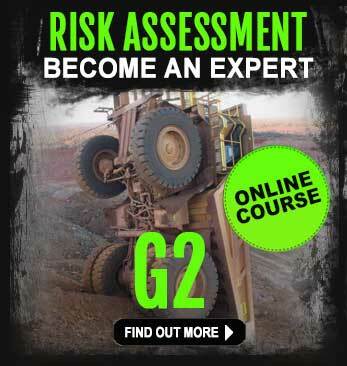 Hazard ID, control and risk assessment and in a mining environment. Prepare and respond to emergencies in a mine environment. Access and apply site safety procedures, apply personal safety measures, maintain personal well-being, and complete relevant reports and forms. Working safely and follow WHS policies and procedures, accessing and apply site safety procedures; applying personal safety measures and operational safety measures; maintaining personal well being for job; and identifying and reporting incidents. Assess the situation, apply basic first aid and complete incident reports. Identify, access and use work site communication systems and equipment, carry out work related communication, and complete written documentation. Completion of the Standard 11 can be credited towards advanced mining training packages such as RII20213 Certificate II in Surface Extraction Operations. iMINCO has a registered third party agreement with WorkSafe Connect (RTO 31385) in relation to the recruitment of prospective learners. 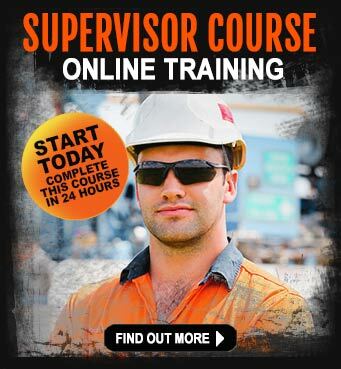 For Brisbane, Townsville or onsite delivery of the Standard 11 Surface induction training programs, you will be enrolled directly with WorkSafe Connect (RTO 31385) who is the issuing Registered Training Organisation.